I feel a bit guilty about it, but on this glorious feast I want to make a U-turn and talk about the unholy trinity. The unholy trinity consists of three persons; namely me, myself, and I. You might think that’s just a way of introducing a sermon against selfishness. But in fact my message today is quite closely connected to the central mystery of our faith, that God is one God in three persons. How is that truth connected to us? Simple: we know from the very first chapter of the Bible that we are made in God’s image and likeness. 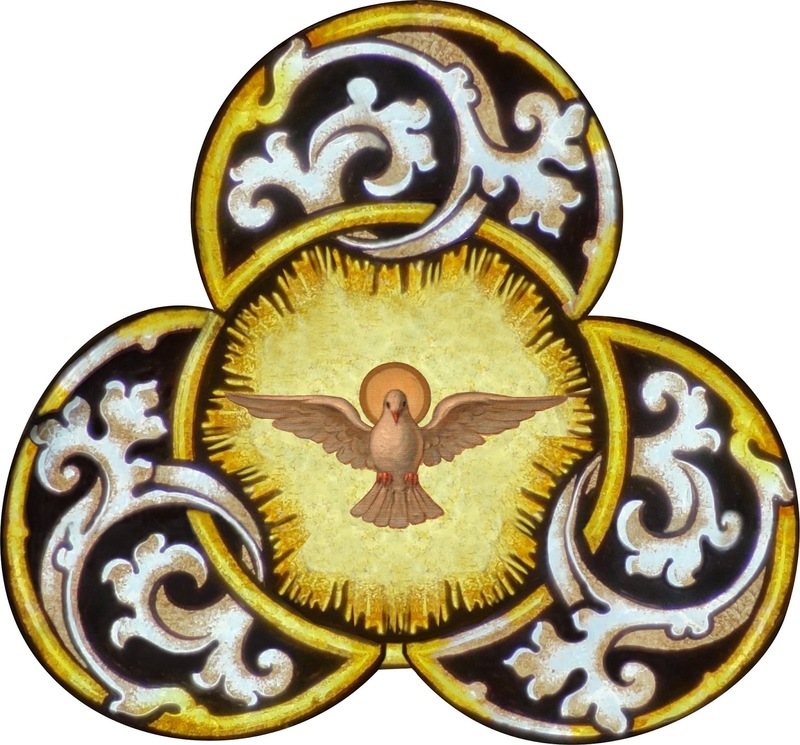 Precisely because we are created in God’s image we are called to the sort of life the Father, Son and Spirit live as a trinity of persons. The word that best describes that life is probably ‘communion.’ Communion is a big word we use to describe a variety of relationships within the Church, and we speak also of the Communion of the Saints. But it also describes our relationship with God: the Catechism says that the whole Christian life is a communion with each of the divine persons (CCC 259). 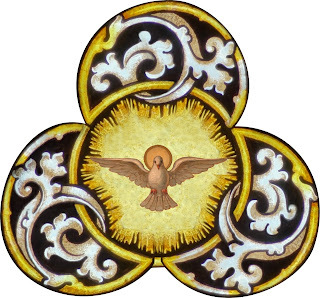 We are, in other words, called to share the inner life of God—Father, Son and Holy Spirit. Our second reading says that God’s love has been poured into our hearts; this is communion with God, an ever-deepening unity with Him, because, of course, God is love. Like all truths, this one has consequences. As St. Paul tells the Romans, no-one lives for himself and no-one dies for himself. Since we are united with God, the love in our hearts overflows for others, just as the divine love overflowed into the act of creation described beautifully in the first reading today. Jesus commands us “love one another, as I have loved you,” but this is a short form for “love one another as the Father and the Holy Spirit and I love one another.” Love creatively, and generously, and selflessly. The Catholic Church is sometimes faulted for being too dry in her teaching. We sometimes look back on the old penny catechisms with their short questions and answers as being a bit simplistic. Yet some of the old-fashioned formulas contained great practical wisdom, and it may be time to take another look at them. The Corporal and Spiritual Works of Mercy are a very good example of this. This traditional formula, which an earlier generation had to memorize, is much more than a checklist of good works. It’s actually a comprehensive list of actions that extend God’s compassion and mercy to those in need. Whether you were called to memorize the works of mercy or not, we are all called to perform them. It’s part of our share—our communion—in the overflowing love of Father, Son and Holy Spirit. One of the many blessings that have come from the Year of Mercy announced by Pope Francis is a renewed interest in the corporal and spiritual works of mercy. Just when it seemed the traditional fourteen works might be forgotten, they’ve come back to inspire us in very practical ways. I read a story on the internet about those working to help the people in Fort McMurray deal with the consequences of the devastating fire—as we will be doing today in our second collection. Much to my surprise, it was about Jacquie Nowlan, a woman who lived for many years in Vancouver and whom I know well. Jacquie’s husband was working in Fort McMurray when the wildfire turned on the town. The fact he and everyone else was able to get out safely made her very grateful. But she knew she had to do more. Her pastor happily gave her permission to use the church hall as a collection depot for relief supplies. Working 10 and 12 hours shifts for days, they were able to deliver about 10 pickup truck loads of goods ranging from clothing to food to bottled water for the evacuation effort. This story [you can read the rest of it here] shows we need to read the signs of the times—to see, judge and act, as is sometimes said: to see the good that needs to be done. So the works of mercy not only tell us the sorts of things that need to be done: they also help us decide what we need to do at the present moment. Jacquie Nowlan accomplished at least four of the fourteen works of mercy. She couldn’t possibly have performed the others at the same time. So it is with us. Quite rightly, I can say that my state of life means I cannot spend the time it would take to run a homeless shelter. If I spent my time visiting those in prisons I could not fulfill my primary obligations as a pastor. Capabilities also are part of the story. Not every Christian is able to teach the faith; perhaps they’re too shy or not well enough formed themselves. Elderly and fragile parishioners may be unable to visit those in hospital—and so on. But all of us are challenged by the works of mercy, which are neatly listed in the bulletin this week. No-one can say their state of life, ability or opportunities for action make it impossible to bear wrongs patiently, or to pray for the living and the dead. Happily, the fact that we are all part of the communion of the Church, living in the communion of this parish, gives us the means to live out our call to action with others. A parish is never me, myself and I: it is “us,” a community that can act together. In the first place, this means we can unite to perform the spiritual and corporal works of mercy. You do not need to open your own school to instruct the ignorant; you can take part as a volunteer in our faith formation and religious education programs. You do not need to travel timidly to the downtown East-side and start approaching people on the street: you can join in the organized work of the Society of St. Vincent de Paul. But there’s more opportunity still. By supporting the good works that the parish sponsors, you can participate in many more than you could ever accomplish on your own. Your weekly support of the parish is, of course, the starting point. Without that we could not organize the many good works performed day after day, week-in, week-out. However, in this Year of Mercy, I am inviting you to consider donating to Project Advance as a way of showing mercy to others. We’re not doing anything too dramatic. But as Pope Francis says, “A bit of mercy makes the world less cold and more just.” We’ve tried to focus this year's campaign on all seven of the corporal works of mercy and two of the spiritual, since most of what we already do comes under that heading. The first four corporal works are feed the hungry, give drink to the thirsty, shelter the homeless and clothe naked. To respond to these challenges, we propose a grant to the Harvest Project here on the North Shore, and additional support for refugees. The next good work is visiting the sick. This is carried on in a wonderful way by our dedicated volunteers who regularly bring Holy Communion and organize Masses at care facilities. We will provide them with a small fund to purchase such things as rosaries, booklets and other religious items for those they visit. Visit the imprisoned: you’ve all heard about the wonderful work done by our prison ministry volunteers. We’ll have a small fund to support their work and to make similar purchases for inmates when allowed. In recent years, we’ve found a need to support some families with the increasing cost of a proper Catholic funeral. And so we’ll respond to the corporal work of burying the dead by establishing a fund that will provide subsidies for those who need this help. The largest sum will go to fund counselling expenses. Society today is in crisis in many ways. Marriages are weakened, the youth are tempted, and depression confronts even people of the strongest faith. Good counsellors, especially those whose work is faith-based, can provide lasting help—but they are expensive and beyond the reach of many, especially young people and young married couples. With your generosity, we will seek to “counsel the doubtful” by subsidizing the cost. The last of the seven spiritual works of mercy is by no means the least important. It is “pray for the living and the dead.” We all do this regularly, and we certainly do it as a community. Each morning those who say Morning Prayer together in the church offer prayers for the intentions placed in the prayer box beside the front door. And at every Mass we offer prayers for both the living and the dead. But this spiritual work is carried on in a special way by those who devote their lives to it. So we will offer some support to the Dominican Nuns at Queen of Peace Monastery in Squamish, asking them to pray for our parishioners and their families, living and dead, during this Year of Mercy. Any time the homily touches on money, there will be a few folks thinking that it’s just a spiritual spin on fundraising. But most of you know better—you know that the Christian life has always included financial sacrifice and support, and that Jesus wasn’t fundraising when he said it is more blessed to give than to receive. Let us all be “first responders” to the many needs around us, living lives of love united in the Father, the Son and the Holy Spirit.